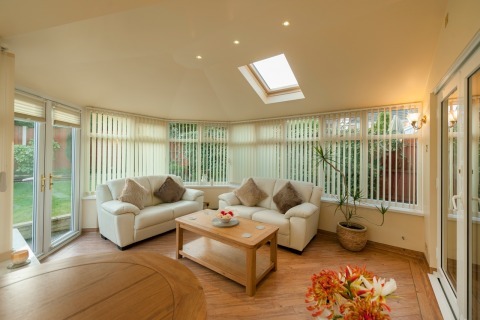 Your Garden Room can be as individual as you are, thanks to our range of finishing touches. Many of our customers specify downlighters for the inside of their Garden Rooms, but don’t forget we can add them to the outside too with the canopy and facet corner overhang options. We can also incorporate Velux rooflights into all of our designs and they are of course the world leaders in rooflights. A rooflight can bring additional light and ventilation into a Garden Room, making for a real design-led and yet practical feature. 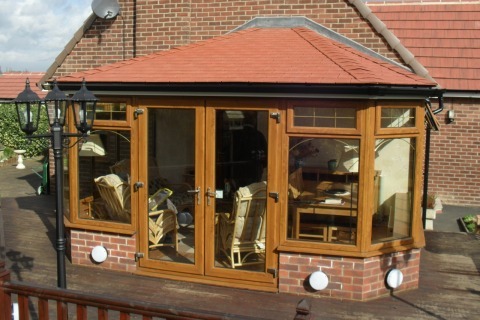 When it comes to the external appearance of your Garden Room we can offer you a wide range of tiled finishes in terms of colour and appearance, or even offer you a tiled finish, thanks to the inherent design and engineering in our GardenRoom. 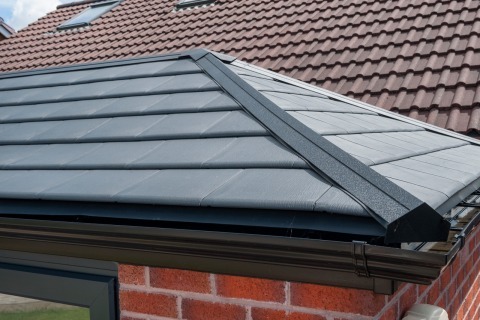 Our tile finishes colours include: slate grey, pewter grey, red and chesnut brown and carry a 25 year guarantee, with tests showing that they outperform traditional roofing materials. They are also fully recyclable and have been awarded Winner Of The Lord Stafford Award For Environmental Sustainability back in 2011. Join our mailing list and receive updates when we our expand our range or post home improvement stories. New ways to revitalise and improve your home straight to your inbox. For centuries, slate roofing has been desired for its durability and beauty. With authentic surfaces and edges, TapcoSlate highlights the handsome character of slate, at the same time enhancing roof performance through innovative design. Unlike natural slate, TapcoSlate won’t break or delaminate. BBA Certified TapcoSlate gives you the power to evoke both historical elegance and outstanding modern-day style. Our slates are created with moulds cast from real slate to capture genuine peaks, plateaux and curves which will blend your extension seamlessly with your existing house roof. Colour-through design and UV stabilisation ensure “stay-true” richness for traditional colours such as Pewter Grey and Terracotta red, chestnut brown and stone black. Our latest UrbanRoom contemporary living space, continues our development of modern glazed extensions with a solid roof construction. The roofing system is taken from the new build residential and refurbishment project markets and is BBA certified to look good and perform well for in excess of 40 years. 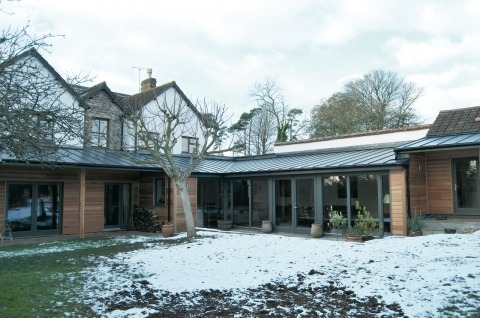 UrbanRoom is suitable for many modern property types where the GardenRoom may look a little out of place and is available in a range of stable matt finishes. It can be offered in a low pitch design down to a pitch of 5 degrees and like the tiles on our GardenRoom, is fully recyclable.